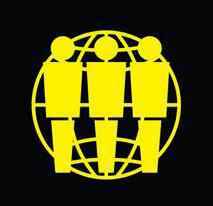 Third Man Records was originally founded 2001 by Jack White (2) in Detroit. In March 2010, a physical location was established in Nashville, TN. TMR building serves as the company headquarter and houses the label's offices plus a vinyl record store, photo studio, dark room and performance stage. The White Stripes, The Raconteurs & The Dead Weather are the best known bands produced by TMR. Cheap pressings & too much noise. Some reissues are coming but labels who release them are not so cool. They CANNOT MANAGE the vinyl pressings, the sound & the package of them. Third Man label is one of them. Listeners are not sheep anymore. They use new hi-fi stuff, new turntables with expensive cathridges, strong amplifiers & speakers & they know. My Pearl Jam Vault package skips thru the entire thing and Third Man is giving me all kinds of crap. I've sent 2 videos because they require proof within 10 days, but so far they haven't said they will replace. I'm extremely dissapointed. I've never had a record company be so reluctant to fix a problem. I won't ever be ordering from them again.